Indoor water rowing is one of the best total body workouts available. It can increase endurance, tone and build muscle, strengthen the core and burn fat. But not all indoor rowing machines are the same and it is important to understand the benefits of investing in a rowing machine that offers adjustable water resistance technology. If you are accustomed to the natural catch and feel of actual on-water rowing, you will immediately appreciate FDF’s indoor water rowing technology – with its unrivalled emulation of propelling a boat through water. The sight, sound and feel of the water churning through the tank is almost cathartic, tricking your senses into thinking you could be sculling down the river. From catching the water at the right angle, to digging deeper to gain speed –the clever integration of these sensory and functional features combine to support a natural indoor water rowing technique that is never boring or repetitive. 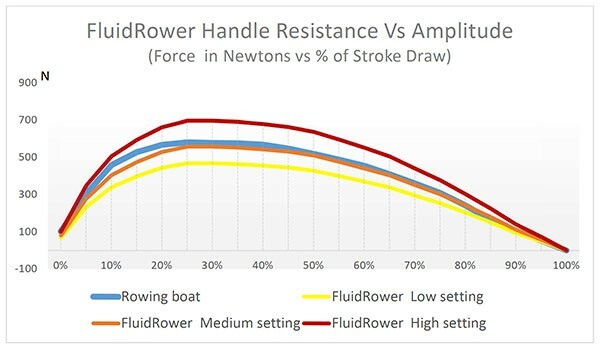 Figure 1 shows the stroke Force Curve defined at different Fluid Rower resistance settings compared to that of an on water rowing boat. Other indoor water rowers don’t allow for controlled resistance, limiting progression in fitness development. Being able to change resistance mid-workout is a unique benefit of FDF’s patented indoor water rowing technology, allowing resistance changes at the turn of a dial. This unique, patented feature is also perfect for group training, where multiple users of differing fitness levels can be catered for, and for interval training. Other lesser quality water rowers allow the water to accelerate in the tank with each stroke, resulting in a resistance peak in the middle of the stroke, with no respect to the length or rate of stroke. FDF’s precision engineered, marine grade stainless steel impeller and internal tank baffles maintain resistance throughout the entirety of the rowing action. The combination of a multi-bladed impeller and internal baffles within the rowing machine’s water tank, delivers a smooth uniform stroke unrivalled in its precise replication of actual on-water rowing. There is no lack of resistance at the catch, experienced on all other water resistance rowers, and consistent resistance is delivered all the way to the finish, just like in a boat. This smoother stroke resistance profile ensures the whole body works more throughout each stroke, without the intimidating high peak resistance experienced by other indoor rowing machines. FDF’s patented twin tank allows variable volumes of water to move between tanks as the user makes resistance adjustments, ranging feather light to Olympic sprint. This is what we call variable fluid resistance. With FDF’s patented twin tanks, you can adjust resistance while maintaining a steady stroke rate. Other indoor water rowers are less flexible, with their single chamber tank requiring the user to row much faster or slower to change resistance. 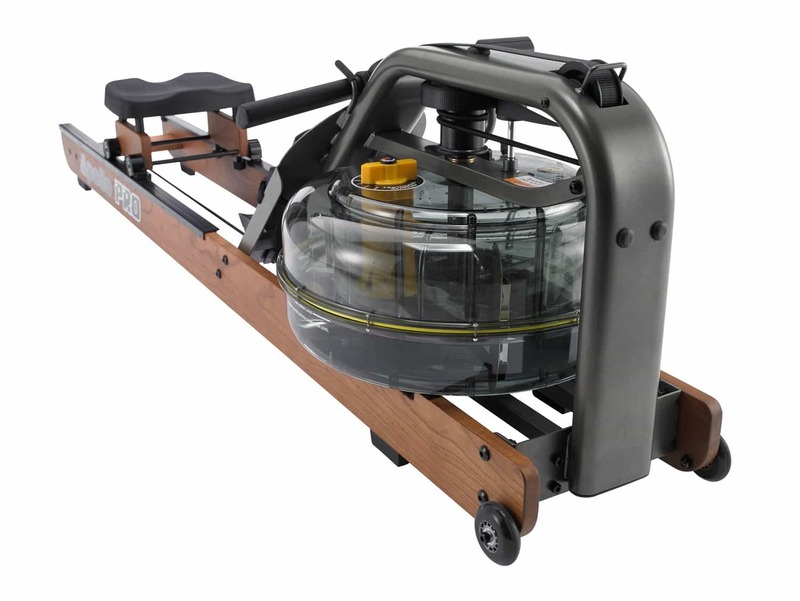 Designed by professionals, engineered by craftsmen and manufactured to standards that others can only dream about, First Degree Fitness indoor water rowers (and exclusive Upper Body Ergometers) are built to deliver on all fronts. Compare the quality, form and function, side by side with any other brands, and the choice is obvious. Value for money products, that represent an investment in your fitness future, is the FDF hallmark. Learn more about the First Degree Fitness quality guarantee. Browse the First Degree Fitness Indoor Rowers range.